“HOWEVER, it turns out that Reneweconomy, in its zeal to promote new power sources, shifted the goalposts so that the battery output was exaggerated over one hundred fold. The correct measure is as follows with the battery contribution comprising the almost invisible yellow at the bottom of the following chart. A mixture of mainly fossil fuel stations expanded output and filled the gap within one minute. Four parts snake-oil, three parts urban myth. With Australia’s renewable energy crisis running totally out of control, whenever you hear the word ‘battery’ you know you’re being conned. Pumping power into and then taking it out of a battery results in inevitable exchange losses, power gets chewed up during that process and is dissipated as heat energy. And then there’s the enormous capital cost of the battery: SA’s 100 MW tiddler cost taxpayers $150 million. Even if renewable electricity delivered from batteries were available, retailers would be paying north of $600 per MWh to get it. But still the hapless Federal Energy Minister, Josh Frydenberg plugs it; head of the AEMO, Audrey Zibelman plugs it; and so does Anne Pearson of the Australian Energy Market Commission. And so do the wind and sun worshippers over at Ruin-economy. Here’s Alan Moran unplugging some of their more exuberant hype. THE next time you are met with the fashionable climate hashtag #keepitintheground by a holier-than-thou climate warrior, calmly remind them that their iPhone, iPad and electric car is not as “sustainable” as they might have hoped for and definitely doesn’t run on a planet-friendly diet of tofu and mung beans. Apple is seeking to buy cobalt directly from mining companies amid a looming shortage of the metal, a key ingredient for the lithium-ion batteries in its iPhones and iPads. Fearful that the boom in electric cars might put pressure on supplies, the Californian technology giant has been in discussions to secure contracts for “several thousand metric tons” of cobalt each year for at least five years, according to Bloomberg. While smartphones use an estimated ten grams of refined cobalt, a typical electric car battery uses five to ten kilograms. If sales of electric vehicles hit a forecast of 30 million by 2030, it will drive further explosive growth in cobalt demand, according to research for Glencore, the mining company, by CRU, a commodities analyst. It forecasts a “material” impact from demand for electric cars by as early as 2020, with an extra 24,000 tonnes needed as early as 2020, compared with about 110,000 tonnes mined globally in 2017 and an additional 314,000 tonnes by 2030. If Apple secures its own cobalt contracts, rather than leaving it to companies that supply its batteries, it could find itself in fierce competition with carmakers for the metal. The talks, understood to have begun more than a year ago, come after a tripling in the price of cobalt in the past 18 months, as carmakers jump into the fully electric or hybrid power business, following the likes of Toyota and Tesla. Countries including Britain and France have said that they will ban the sale of petrol and diesel cars from 2040. Apple declined to comment on the talks. However, Ivan Glasenberg, chief executive of Glencore, the world’s biggest cobalt producer, said in December that the iPhone maker was among the companies it was talking to about cobalt, along with Tesla and Volkswagen. Mr Glasenberg noted that supply was “relatively constrained”, as cobalt could not be mined like lithium, but was a by-product mainly of copper and nickel. There are also questions about the stability of supply in the Democratic Republic of Congo after a vote last month by its parliament to raise royalties on mining. The change is designed to ensure that the country gets a bigger share of the money paid for its commodities, but it will raise costs for producers. Mining companies are lobbying against the change, which Mr Glasenberg said would lead to under-investment. “Can the world produce as much cobalt (as) it’s going to need? … What happens in the DRC is going to be very important going forward,” he said. Apple’s move to secure its own supplies of cobalt comes amid a global drive to safeguard supplies of crucial metals used in electronics while reducing dependence on the DRC, which supplies two thirds of the world’s cobalt but has been criticised for human rights abuses, including using child labour. In response to criticism from human rights groups, Apple now uses only cobalt refined and smelted in China, Belgium and Finland. It will accept metal from the DRC only if it comes from mines that can prove they provide adequate health and safety protections and safeguards against child labour. Michael Giblin, mining analyst at S & P Global Market Intelligence, said that end-users of cobalt were already looking for alternatives to the metal. “Due to the rapid increase in the cobalt price over the last year, plus the fact that the majority of cobalt will be sourced from areas with political and social instability, battery technology is being continually evolved to reduce the reliance on cobalt. Click this link for brief info…TQ! “Even the most virulent supporter of renewable energy can, after enough waterboarding, admit the link between more renewables and increased power prices. South Australians have a Labor government and its deranged, ideological obsession with wind and solar power to thank for their status as an international joke. 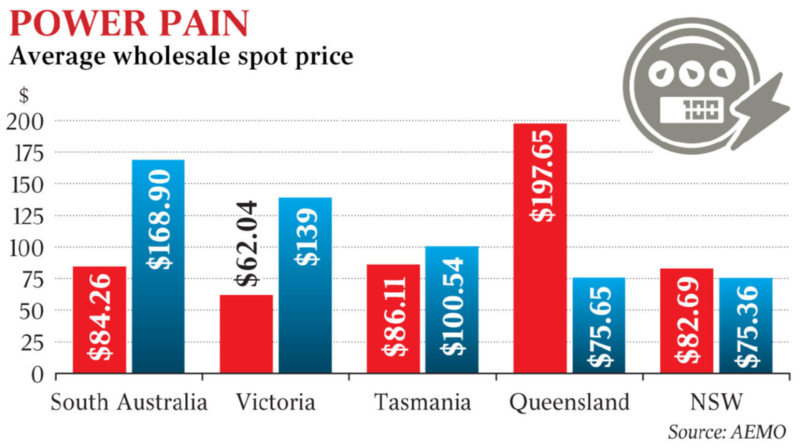 Paying the highest retail power prices in the world (with much worse to come – see above), routine load shedding and statewide blackouts, and a grid on the brink of collapse, is all the inevitable consequence of attempting to run an economy on sunshine and breezes. One of the reasons things got this way (and it happened in a bit over 16 years) is the manner in which the useful idiots in the mainstream press pumped wind power, as if it was a sacred gift delivered by some magical and benevolent deity. DIESEL – Keeping South Australia’s Lights On Til The Next Election! South Australia’s green utopia – burning 80,000 litres of diesel every hour, everyday to cover up its renewables debacle! WHAT do you do when you submit to the deep-green climate faith, blow up all your baseload coal-fired power stations, disconnect from the National grid and become reliant on intermittent, weather-dependent, unreliable green energy – wind and solar? YOU buy $360 million worth of diesel generators and hope that burning 80,000 litres of petrochemicals every hour, everyday will prevent summer blackouts ahead of your next state election. THOSE blackouts, which occur when the total demand for electricity exceeds supply, occurred three times last summer. BUT, aren’t petrochemicals, like diesel, the same “dirty” fossil fuels that climate catastrophists scarify us for indulging in, claiming that their use will fry the planet? #LeaveItInTheGround, #BigOilShill, #DivestFossilFuels – a few of the propagandised euphemisms bandied around by eco-activists. SO, that question again – what’s the point of the billion dollar, taxpayer funded, unreliable energy (wind and solar) experiment? Generators the Weatherill government is buying to prevent blackouts this summer ahead of the March state election will use 80,000 litres of diesel an hour. The fleet of generators, currently being shipped from Europe to South Australia, have been used for temporary generation around the world. But those behind the South Australian energy security project, costing taxpayers more than $300 million, yesterday could not say if the generators had ever been used as part of a permanent solution. In a major revision to his $550m go-it-alone energy plan, Premier Jay Weatherill last week announced nine “state-of-the-art” gen­erators providing up to 276 megawatts would be purchased to provide back-up power for the next two summers. 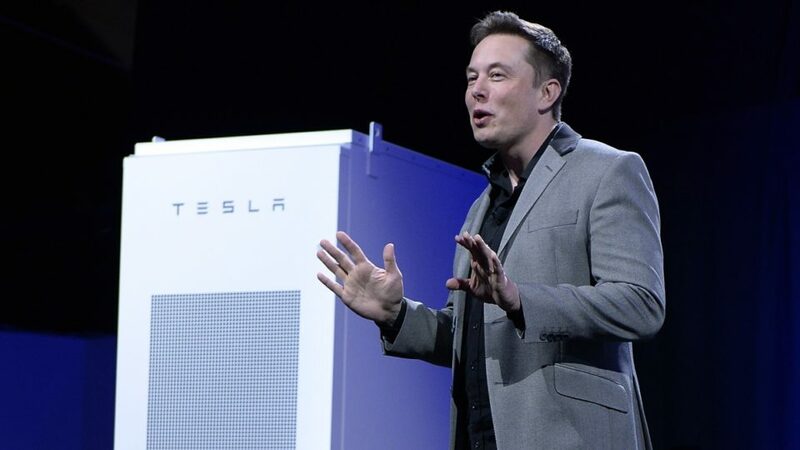 BUT, this week, in a blow to Jay Weatherill’s “bromance” with Mr Musk, the US tech billionaire’s Tesla has slammed the South Australian government’s planned energy security target and warned it is not representative of the state’s leadership on renewable energy. Other analysts suggest that the battery is still only big enough to keep a town of just 13,000 homes going for 24 hours! IS Elon hedging his grandiose claim of Tesla saving South Australia from complete energy meltdown? Sounds a lot like it. Ouch. UNTIL big government backs off, taxpayers will continue to pay billions of dollars more for fake fixes to a fake catastrophe. “My sympathies to all the South Australians who didn’t vote for this.” Jo Nova. YOUR mad global warming policies and ruinously juvenile obsession with green power have rewarded South Australia with the World’s most expensive power prices, helping to destroy your economy and hurt the poor. ESCAPING the electricity grid by pairing solar panels and new battery technology is the best way for SA households to escape the world’s most expensive power prices, a top expert says. Carbon and Energy Markets director Bruce Mountain revealed in June that he was working on a study that found SA was passing Denmark as the most expensive place in the world to keep the lights on. He has now published the results, which conclude SA’s prices are three times that recorded in the US and about 50 per cent higher than the UK. THE solution? “Escape the electricity grid by pairing solar panels and new battery technology…” ! That’s all good and well for those who can afford the luxury of solar panels and their (toxic) battery backup systems. And, what for businesses and heavy industry – the one’s that still remain? Use Elon “Taxpayer subsidy-sucking vampire” Musk’s $200 million giant battery pack that could have enough battery storage to replace wind power for a whole minute (maybe 2), should the wind stop? Aren’t solar panels, batteries and windmills the entire reason behind SA’s energy debacle, anyway? Like the old sailors say, “The wind is free, but everything else costs money”. Adelaide oval are examining a diesel and gas co-generation option. “If the stadium went black it would be a nightmare,” chief executive Andrew Daniels said. “Plus, can you imagine the damage it would do to the state’s reputation?” Think that ship’s sailed Mr Daniels! Coopers Brewery has its own power supply via gas, and was unaffected by the September 28 blackout that devastated industry. BUT, aren’t these “industrial diesel generators” and LPG solutions simply going back to “dirty” fossil fuels – the same (cheap, reliable, efficient) hydrocarbons that freak out the Green faith?! SO, what’s the point of the whole billion dollar, taxpayer funded, unreliable energy (wind and solar) experiment? For the Jay Weatherill’s of the planet, one could assume it’s a moral blend of “Save the Planet” virtue, mixed with “Save the Planet” virtue. There certainly is no sense, reason or cost benefit analysis when you enlist in the Green faith. BECAUSE, consider also, that as more solar and wind generators come online, as Jay has planned, the demand will rise for more backup power from “dirty” fossil fuel plants to fill the gaps and keep the grid stable when the wind doesn’t blow or the wind don’t shine. The result – adding even more CO2 emissions to the atmosphere. Not a good result if (plant food) CO2 is your ideological enemy. BUT here is the ultimate craziness. All the money, all the wrecking of views, all the lost jobs through higher electricity prices and all the blackouts – all the pain for nothing. The effect on global temperatures so incredibly small, nobody would notice. Neighbouring State, Victoria, whose Socialist Left government is also obsessed with green energy and the climate faith has closed Hazelwood coal-fired power station, which did not merely supply Victoria with a quarter of its power but also helped bail out South Australia. Come the hot Australian summer in a few months time, this situation is going to spiral way, way out of control. Bookmark it. Apparently the Guardian actually has one sensible reader. There seems to be little understanding of the simple fact that electric vehicles (EV) are, in the main, pollution shifters – from tailpipe to power generation facility (Ban from 2040 on diesel and petrol car sales, 26 July). The electricity generation and transmission system is already tested to its limits during a harsh winter. Only if objections disappeared to the mass building of thousands of the largest wind turbines, plus similar numbers of hectares of photovoltaic solar generation, could the pollution shifters’ argument be refuted. Even then, there would still be need for conventional or nuclear generation for when the sun doesn’t shine and wind doesn’t blow – doubling the capital requirement.